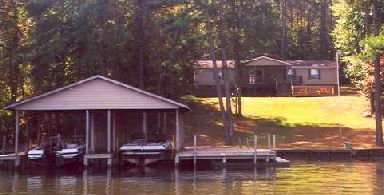 Stonehouse Timber Lodge has been on Lake Gaston almost as long as Lake Gaston has been on the Roanoke River. Built in the early 1960's as a fishing camp with few comfortable amenities, the lodge featured six small fishing cabins, one larger one, a boat ramp and not much else. That was great for hard-core fishermen whose only goal was to catch bigger bass and swap a few tales. Great for them maybe, but our vision for Stonehouse Timber Lodge was quite different. We wanted to turn the old fishing camp into a choice family vacation destination without sacrificing its original rustic charm. By 1997, everything in the well-used camp was either worn out or seriously outdated. Since the place needed so much work anyway, we decided to jump right into a major renovation project. Not only did we refurbish the cabins but also added more housing choices. New boathouses, decks, docks and a office facility completed the renovation. It was a long, difficult project but the results are worth the effort we invested. Large flowing decks invite you to spend your evenings lounging with friends and family. Our expansive outdoor social areas were designed to maximize your pleasure while vacationing at Stonehouse Timber Lodge. But if you would rather hang out in your own place, we have given our homes outdoor entertaining areas that equal what's inside. The Stonehouse legacy may have begun with rustic little log cabins but we've come a long way since then. All seven cabins have been renovated and brought into the twenty-first century. They are still rustic on the outside but cozy and functional on the inside. Renovated or not, log cabins might be a little too rustic for your taste. We understand. Our waterfront homes, waterfront mobile homes and off-water mobile homes offers you several options for your family vacation plans. Check them out on the Lodging page. Whether you are here for the fishing or to kick back and do a little stress relief, we've got your vacation covered. Our Bait and Tackle Shop is specifically equipped for Lake Gaston Fishing. All of our fishing boats are well-equipped and well-maintained. Quiet, comfortable pontoon boats are available for leisurely seeing the sights from Lake Gaston. We want your vacation with us to be an experience you'll want to repeat every year. 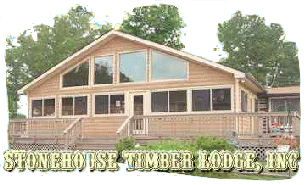 Stonehouse Timber Lodge is a family oriented business and we wish to make your vacation a pleasant one. We do our best to make your stay as comfortable as possible in a very relaxing atmosphere. Please observe these simple courtesies to help make everyone comfortable. Quiet hour is 11:00 PM. No loud parties or music at any time. Waterfront deck, sun deck and sandy beach are for all guests to enjoy. 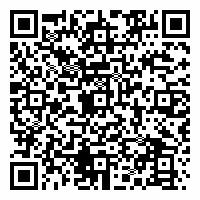 Use this code for directions on your phone. Or click here for a Google Maps Locator.